It’s almost time for Halloween, and I have some fun Couple Halloweeen Costumes for you to check out! Alex and I love the chance to dress up and love a good party…so this is the best of both worlds! 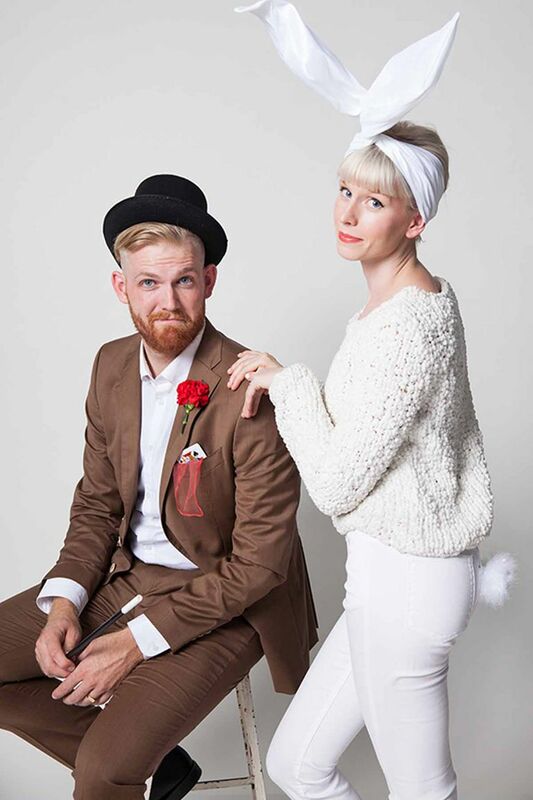 If you want more ideas, check out the rest of the costumes made for couples at this article by Women’s Day! This one is super simple with a red cape and a magic stick, and dressing up like a bunny could be a tad sassy too! Easy! 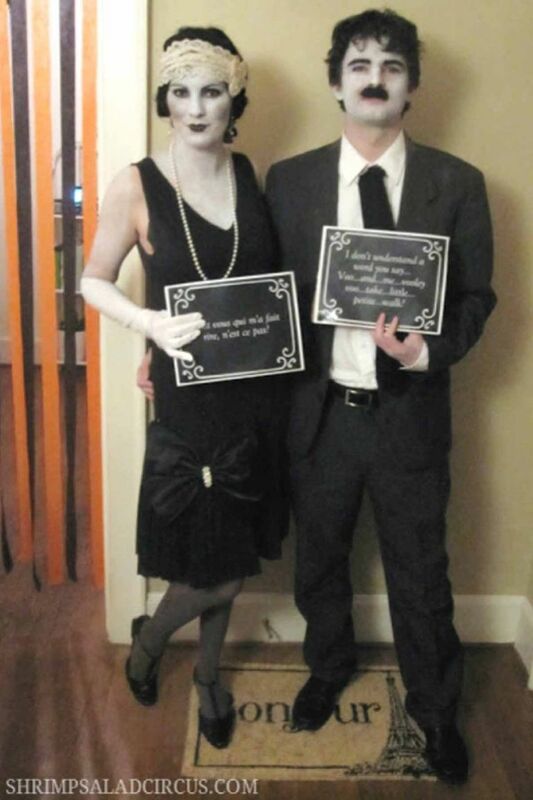 You can print out cards that would have something fun printed on them, which people would recognize immediately that you are silent movie actors and you can really dressed up with this one! 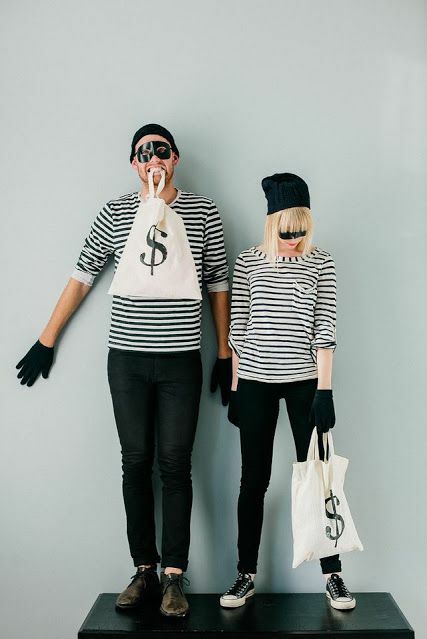 Matching striped shirts, black pants and black masks…this is another easy one. They picture bags with dollar signs, which I’m sure would be inexpensive. I haven’t seen this one before and it’s clever. Since one of my favorite colors, purple, is the pantone color of the year, it’d be fun to do this one! Just dress up in your favorite color, and attach “Pantone” color on there. Genius! This is another one which could be really sassy. 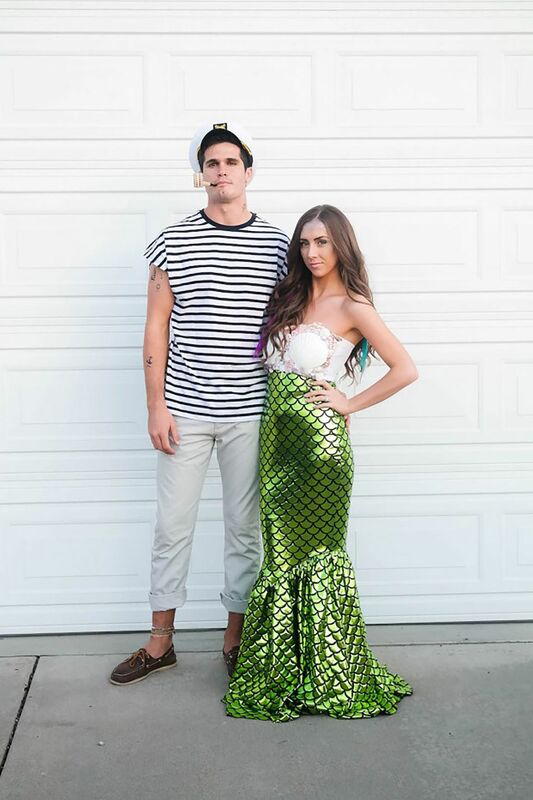 I’ve always wanted to dress up as a mermaid. Then, Alex could be a sailor…an easy get up for a guy and not too over the top if they don’t like to dress up. I love this movie! 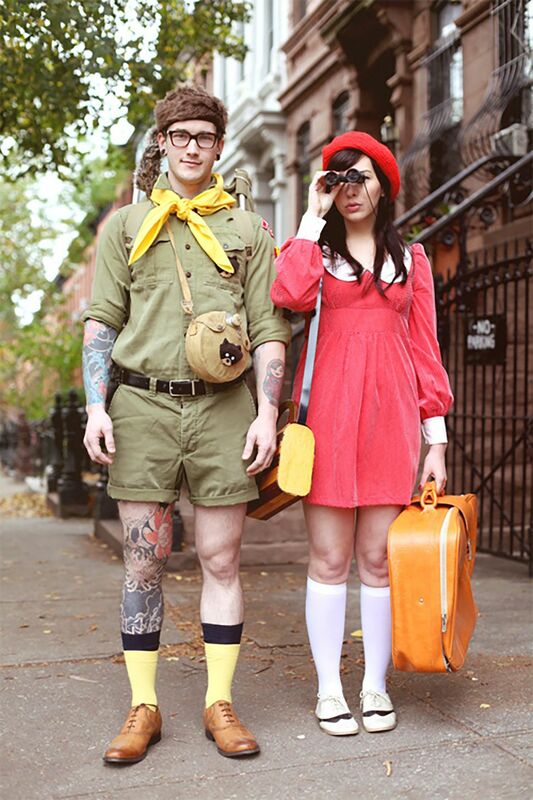 and this would be a fun dress up…and pretty easy too! Since Alex has an endless supply of scrubs, this one will be in my future! Check out one some fun ideas I found on Shop Style! I just launched a blog about carving pumpkins…check it out here!